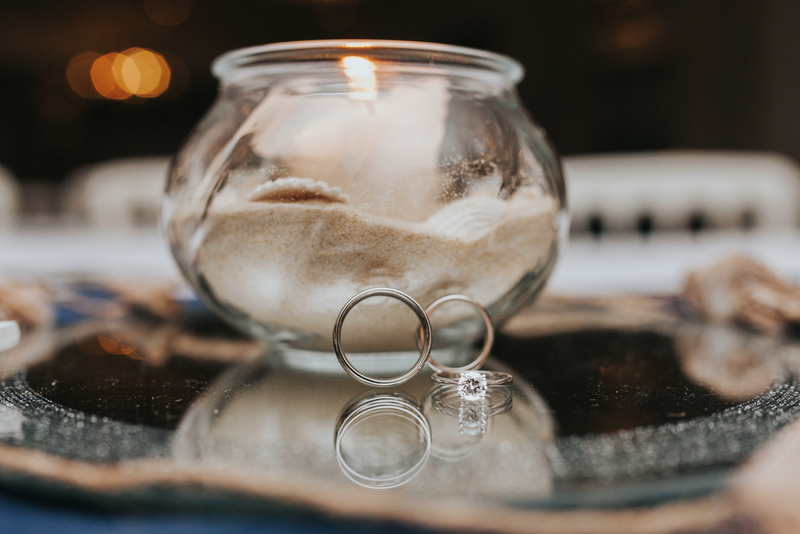 Budget is not always one of the first things that crosses your mind when you begin wedding planning, but it can actually be the most important factor of your day. If you only have a small budget, you may be seriously limited in the vendors you can book for your wedding and may have to scrimp on some areas to prioritise others. In an ideal world, we would all have an unlimited budget to spend on our wedding – and we could hire everyone and anyone to make the day of a lifetime special. The trouble is, there are so many different things to consider for a wedding that it’s easy to forget some. Even when you write down everything you can think of, it’s hard to be one-hundred percent sure that there isn’t something your missing – and I know this can only add to your sense of anxiety about your big day! To ease your worries, I’ve created this wedding budget list. It’s entirely free for you to use to help out with your own (or a friend/family member’s) wedding planning! Please feel free to share this article with anyone who you may think will find it helpful! You can copy and paste this in a word document, should you want to, or just use it to write your own version for later. Firstly, pick a wedding date. The date of your wedding can significantly affect your budget – as many venues and suppliers will provide their services at a discounted rate for weddings that are off-peak season. You also need to know how long you have to find the money and pay off your wedding. Secondly, let’s consider your total budget. Are you paying for your wedding or is a family member (if so, you need to ask them what your budget is)? How far away is your wedding? Are you planning on saving up more money, or will you use primarily money you already have? Say your wedding is in 2 years time. How much money can you save up to spend over the next 22-23 months? Remember to consider the fact that most suppliers will require a substantial deposit to reserve their services on your date and that you will have to pay off your final balances around a month before in most cases, although some select vendors may allow payment in cash on the day. I estimate that my budget will be £/$_____ total. Now it’s time to research venues in your area. Many guides state you should expect to spend between 25% and 50% of your budget on your wedding venue. You can use this as a rough guide to select which venues you think are best. Every area has venues that will vary in cost, from £100 to £25,000. 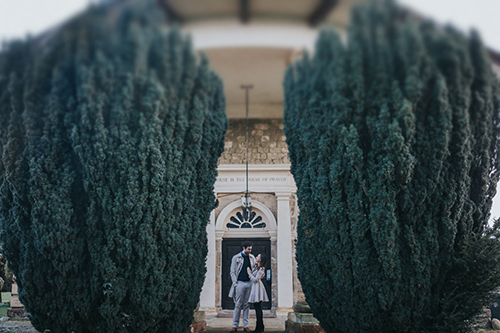 You need to consider whether you want to get married all in one venue – or whether you would like to be married at a church or registry office and then move onto a reception venue. If you do choose to get married in the same venue as the reception, bare in mind that you will have to pay the additional registrar fees on top of the hire charge to the venue and that they will be higher than if you get married in the registry office. At this point, you could also view some venues to finepoint your list down to 3 top choices. Now, either pick your favourite venue’s cost or average the cost of the top three. My venue estimated budget is £______. Does your venue include any extras? It’s important to consider this in your deal. For instance, will food or drinks be included – or any hire objects such as decor, postboxes or a photobooth? Using the same method – now get three quotes for the meal & drinks (if not included) and average the cost. My estimated food and drink budget is £_______. Using the same method – now get three quotes for any entertainment you may want, including DJs, and average the cost. It is important to research entertainers, read reviews and consider exactly what it is you want. My estimated entertainment budget is £_______. Now you should consider your photography and videography options. I wont go into detail here, but consider style and price – and the personality of the photographer. 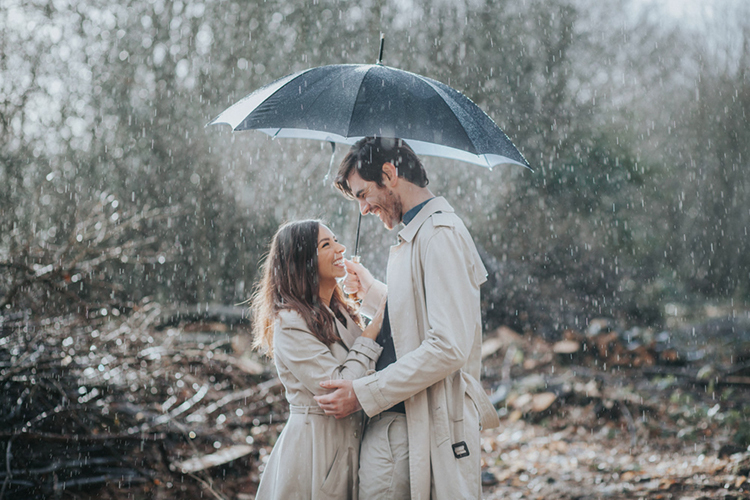 It’s worth remembering that the average spend on a professional photographer in the UK is £1600, and that a photographer/videographer works many more hours than just the wedding day itself – times those hours by 5! (And then factor in tax, insurance and costs of doing business) You can find a wedding photographer for anything between £0 and £20,000 – but most professionals charge upwards of £700. 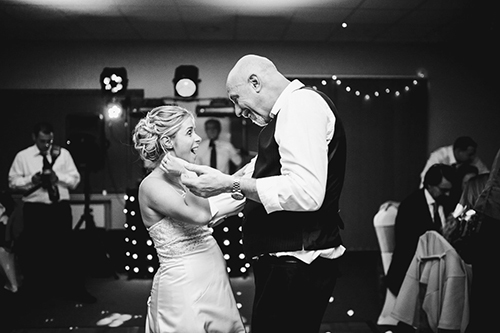 I would always try and persuade a bride or groom to be to prioritize photography, as it is the only part of your wedding day (aside from your husband) that can still be around in 10 years time – the part that is the finished product… what you will have to show for your day! If you really have no budget for a photographer, although I would recommend trying to find budget somewhere for one, you may be able to find someone building a portfolio who will do it for free, expenses or very cheap. This will not guarantee good wedding photos, but it is better than having no photographer! Chat to your favourites and again, get three quotes from photographers you LOVE and average the cost. My estimated photography budget is £_______. Do the same for videographers. My estimated videography budget is £_______. Consider flowers. Do you want your florist to decorate your venue – or would you rather hire a decorator? How many flowers do you want and for whom? Again, average three quotes from florists you love. My estimated floristry budget is £_______. If your florist is not doing your decorations – are you going to hire a decorator or DIY? Consider the cost carefully. Add up the total cost of your items or average three quotes. My estimated decoration budget is £_______. Research cake makers in your area. Look on pinterest for your favourite cakes and ask for quotes from your top 3 cakers to feed the amount of heads at your venue. Average these quotes. My estimated cake budget is £______. What kind of dress do you want? Have you tried any on yet? The average spend on a dress in the UK is £1500. Is this more or less than what you thought. View dresses and narrow them down to your top three dresses. (There are a variety of stores to consider – from budget, second hand dresses to high tier boutiques.) Average the cost of your top 3 dresses. My estimated dress budget is £______. Are you thinking of having a veil or hairpiece? How about your shoes? Will the diamonds on your necklace be real? Add up the cost of the accessories you LOVE. My estimated accessories budget is £______. As you did for your wedding dress, now employ this method to kitting out the rest of your bridal party with bridesmaids dresses, MOB dress, suits and other clothing. If possible, get 3 different quotes for the total and average it – or just use one for the total of all of them. My estimated clothing budget is £______. How many guests are coming? What are you doing about favours? There are many different kinds of wedding favours to suit all budgets – from sweet carts to personalised jewellery. Get quotes from different vendors and consider what you want to match your theme. My estimated favour budget is £______. Will you be hiring a stationer to make your invites and other pieces or doing this yourself? Work out the average cost for the invitations you want. My estimated stationary budget is £______. Will you be having your hair and makeup styled by a professional artist? Research local beauty artists and ask your favourite three for quotes, before averaging the quotes. My estimated beauty budget is £______. What kind of wedding rings do you and your partner want? Visit some jewellers, consider whether you would like to spend a lot or a little on your bands. Consider the style of bands, the metal, plating and jewels and how this differs in each band. Choose three different sets and average their costs – or just choose your favourites. My estimated ring budget is £______. Will you be providing gifts for your wedding party? Are there any small extras you would like to buy for your wedding. Add them up and write them here. My estimated extras budget is £______. NOW. Go back through this list and add up all of the individual bold totals. Write this total below. My calculated quote total budget is £______. Subtract the lower total from the higher total to see the difference in price between your original estimate and the estimate now you’ve researched the industry. I’m willing to bet right now that this calculated total is a lot higher than the one you originally estimated – and this is because many people underestimate the cost of the wedding industry, so it’s really important to research everything before you budget. If you are WAY over budget, it’s time to either work out how you can save up more money (whether you put more into savings or postpone the wedding) or to research DIY alternatives and prioritise what you can afford to knock or things you can get cheaper for less or not exactly what you were picturing. But this method is the best way to work out the budget of the wedding you really want – and work out whether you can afford it. Why you should hire a professional wedding photographer (and not a friend with a camera)!